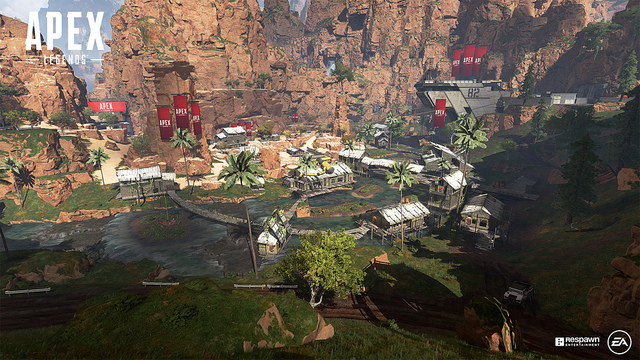 Gamers based in Iran have revealed that they are barred from accessing Respawn Entertainment’s free-to-play title, Apex Legends, due to sanctions imposed by the U.S. government. When users took to EA’s official forums to quiz the publisher about the issue, they were told that the company is acting in compliance with U.S. laws. “At the moment it’s not possible to access the game from Iran as we are acting in compliance with U.S. embargoes and sanctions laws,” wrote an EA community manager who goes by the name EA_Andy. There are additional reports of Anthem‘s demo and The Division 2‘s beta being inaccessible in Iran but it’s unclear if sanctions will affect full releases of both titles. According to RevengeTaken, it’s possible for Iranian gamers to connect to Apex Legends via VPN and using another country’s IP. However, it affects pings and the experience is far from smooth. Players have been left perplexed by this development considering EA’s previous titles are accessible, and other multiplayer games released by various North American developers and publishers also work, including Fortnite.